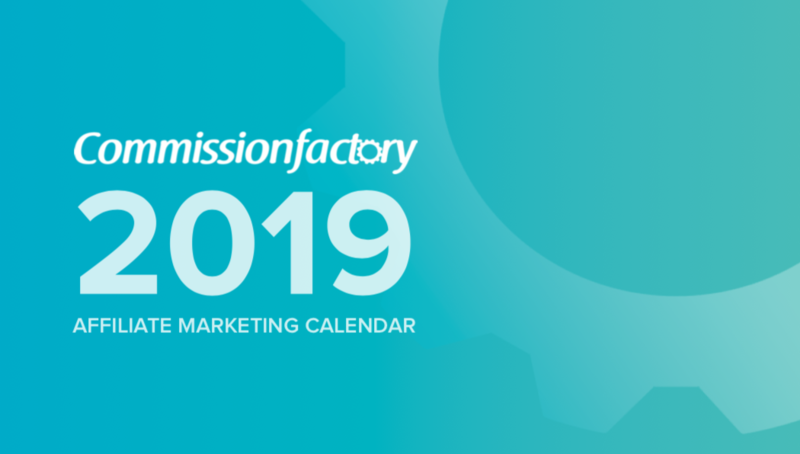 Prepare for 2019 with the Commission Factory affiliate marketing calendar. Looking back at 2018 which was such a huge year for growth not only for us but also our affiliates and advertisers, we realise how time-consuming it can be trying to manage all internal/external work, industry, national and personal events. Therefore, we have worked on a way to help you combat that stressful task of marking these key dates. All in one central place, we have created our 2019 calendar so you can easily prepare for all the occasions of your choice. Spring Style Mixer - This is one event where tickets sell out fast. Mingle and mix with some of Australia's most amazing content creators and online retailers in the fashion and beauty vertical. Keep an eye out as we get closer to Spring when we announce this event. Travel Mixer - Last year’s Travel Mixer sure impressed its attendees. A fun and casual evening with a guest panel of content creators discussing tricks to make the most out of your travel planning and how to build a trusted travel brand. Webinars - You asked for it and we have listened. Very soon we will be launching our training and webinar feature built into the Commission Factory platform. This is a brand new feature for our affiliates, advertisers and agency partners to make the most of our platform. We are also buddying up to some of the industry's best for co-hosted webinars and training events. Make sure to anticipate our events by following our social channels to stay up to date and be the first to know when we announce events and release tickets. Due to the success of our vertical specific events we are making plans to add even more this year! As the affiliate marketing industry grows exponentially in the APAC region, it is vital for us and our partners to attend key events. Until recently we didn't have a great deal of choice in this area but are now starting to see more events being announced that you simply must add to your calendar. The All Star Bash is a massive annual event celebrating the All Stars of digital retail through the launch of Power Retail’s Top 100 Online Retailers list. As the name suggests this event is for the stars of online retail in Australia. One of the very few events held early in the year to take advantage of networking opportunities when consideration of new investments is high. Affiliate Summit APAC last year was held in Singapore and went exceedingly well. The question now is, will it continue in Singapore or will it share itself in other nations that make up the incredibly diverse APAC region? Sporting a new look Online Retailer Sydney will continue its legacy of providing an amazing space for solution providers to showcase their wares to the many incredible online retailers in Australia and abroad.